Last fall, members of the Screen Actors Guild‐American Federation of Television and Radio Artists (SAG-AFTRA) union publicly considered going on strike in an effort to secure better protection and pay for physically demanding work. This year, the group is threatening to strike, though its targets are a bit more specific: EA, Activision, and nine other industry employers. 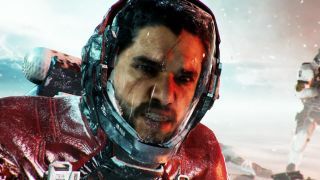 The post does not specify exactly what the union is seeking in these contract negotiations, though previous demands included performance bonuses on games that sold more than 2 million copies, a clear definition between voice actor and motion capture actors, and the aforementioned compensation for physically demanding voice work (such as loud screams). Actors like Tara Strong, Steve Blum, and Jennifer Hale have expressed their solidarity with the union under the hashtag #performancematters on Twitter. Even Steven Ogg, AKA Trevor Phillips, AKA that guy in his underwear you saw on this site, has given his support.